The Mizuno Wave Tornado 8 volleyball shoes are Mizuno’s premier volleyball footwear and the latest version of the Wave Tornado will push you to new heights. With cosmetic tweaks and a hot new color, you’ll own the court and look sharp doing it. 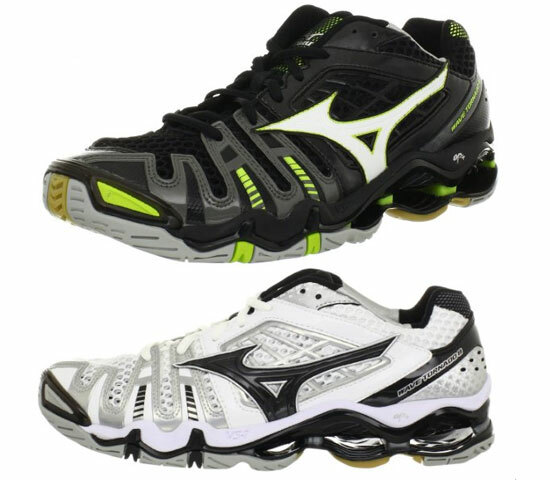 Buy your pair of Mizuno Wave Tornado 8 volleyball shoes, click here! Volleyball-specific full-length Pebax Mizuno Technology provides superior stability and cushioning. Enhanced AP midsole with increased rebound and cushion durability while maintaining lightweight performance. Shock-absorbing cushioning compound in the forefoot. Design technology that relieves the stress the foot naturally places on footwear – eliminating distortion for the perfect fit. Full-length midsole ventilation system reduces heat and humidity build-up inside the shoe during performance.